It's been great weather for moth trapping, and with National Moth Night over the weekend I thought I'd share some of the lovely moths that we've caught here at Knepp Wildland recently. 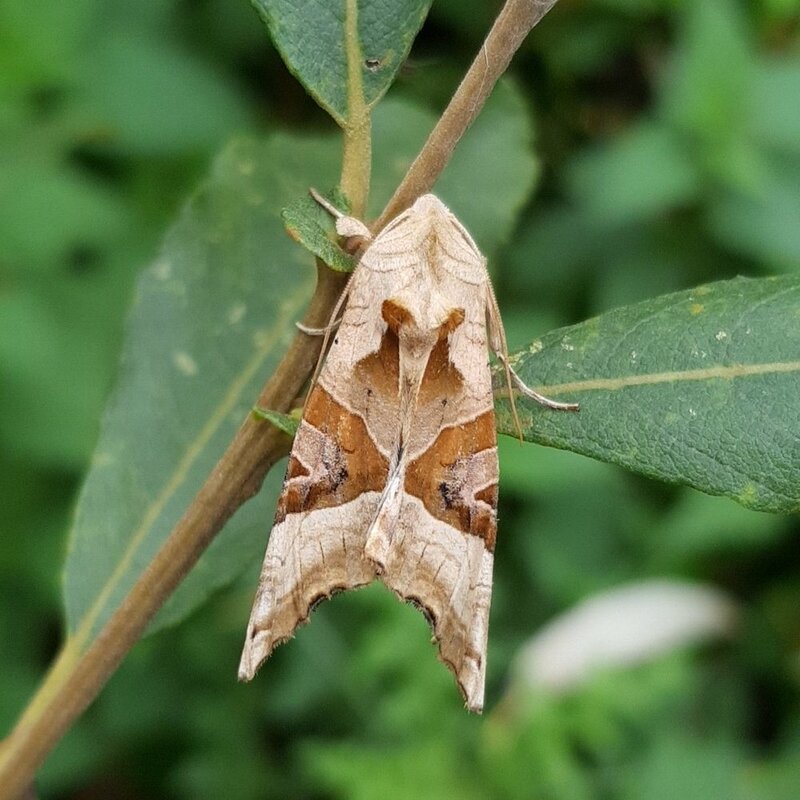 At this time of year the moths are beautiful autumnal hues of yellows, pinks, oranges and browns - lovely for us to look at, but for them it's a survival strategy. As moths rest up during the day, in trees and bushes, it's a time when they're quite vulnerable, so what better way to evade predation than to blend in with the surroundings? Looking at these photos it's clear to see what they all look like: leaves! Other moths have warning colouration, like this huge Red Underwing: it has cryptic colours when at rest but if disturbed by a predator it flashes a red petticoat to startle and deter.